Please note: This list of interviews is incomplete. I only just started compiling it recently, after many years of publicity. I'm unable to find some of my old interviews online now and I have probably forgotten many of them as well. 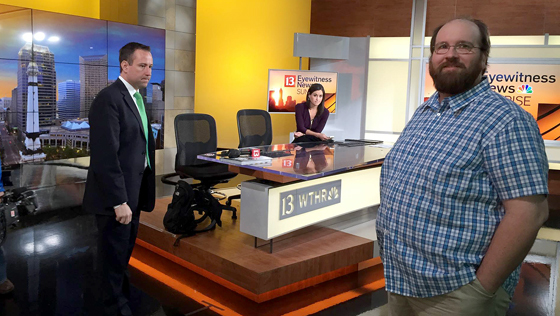 If you have interviewed me but don't see our discussion listed here, please let me know. I will be happy to add it to this list! This list does not include reviews of my books where I was not also interviewed (unless otherwise stated)--but please know that I appreciate them all! 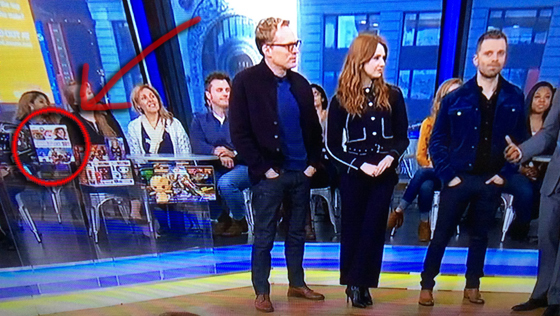 (Note: I’m not featured in this video, but my book “Marvel Studios: 101” can be seen on the far left side of the screen beside actors Paul Bettany (Vision), Karen Gillian (Nebula) and Sebastian Stan (Winter Soldier) for the first minute). 4.06.17 DK Publishing: How Many Star Wars Rebels Can You Name? 10.29.15 DK Publishing: How Many Jedi Can You Name in 30 Seconds? 2009-2012 CNN International Adam gave several interviews and photos for broadcast on CNN. Adam covered culture, tourism and current events in Vietnam and Cambodia while living there. Unfortunately I don't think any of this is available online now. 2.16.19 The Fantha From Down Under Episode 23: Adam Bray, Part Two. Also on YouTube. 11.17.18 The Fantha From Down Under Episode 17: “Marvelous Star Wars”. Also on YouTube. 10.17.18 Guardians of the MCU Episode 20: Adam Bray and More! 11.12.17 Resistance Radio (Hypable) Episode 84: Stormtroopers and Beyond! 4.15.17 Coffee With Kenobi: Celebration Orlando Day One. Also on YouTube. 3.20.17 Rebel Force Radio: Star Wars Rebels: Declassified: "Twin Suns"
1.26.17 Rebel Force Radio: Star Wars Rebels: Declassified: "Ghosts of Geonosis"
12.14.16 Unmistakably Star Wars Episode 61: Rogue One Eve! 9.15.16 XRAY.FM Radio Portland, Oregon. 7:45AM Interview for Marvel Absolutely Everything You Need to Know Book Tour. Review of DK LEGO Star Wars: Chronicles of the Force (Adam does not appear in this episode himself). 3.7.16 Rebel Force Radio: Star Wars Rebels: Declassified "Shroud Of Darkness"
1.7.16 Skywalking Through Neverland Episode 106: Lining-Up Wraps Up + TFA with Adam Bray. Also on YouTube. 12.22.15 WMKT (1270AM/102.3FM N Michigan) "The Vic McCarty Show" Interview: Star Wars Author Adam Bray. 7.10.15 Coffee With Kenobi BookChat: Ultimate Star Wars, featuring Adam Bray & Tricia Barr (110). Also on YouTube. 6.11.15 Skywalking Through Neverland Episode 81: Adam Bray – Absolutely Everything YN2K. Also on YouTube. 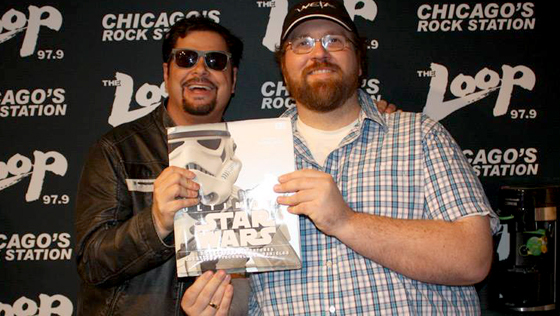 6.5.15 WLUP-FM (97.9 FM "The Loop") The Mancow Muller Show, Chicago, 6am-9am. Live, 3hr in-studio appearance. 6.5.15 The Michael Koolidge Show Live interview at 10:35AM. Syndicated on 10 radio stations across Illinois. 4.27.15 Roqoo Depot Celebration Anaheim: Ultimate Star Wars - Adam Bray + Tricia Barr. Also on YouTube. 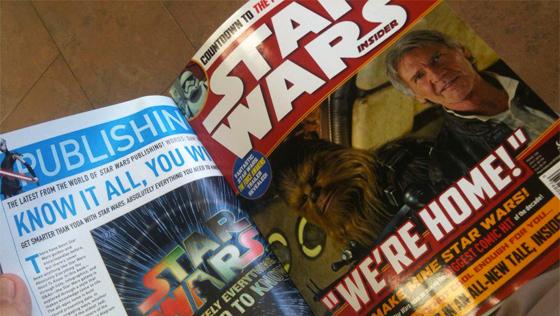 8.25.14 The Star Wars Report (Star Wars Book Worms Episode 29): What Makes a Rebel? 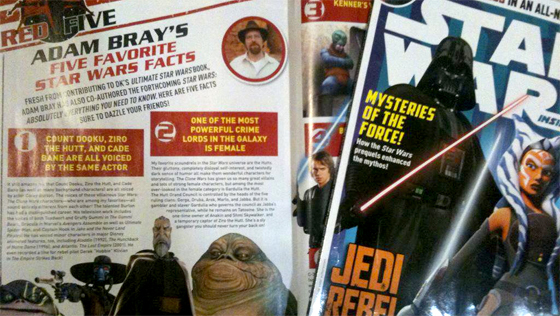 8.15.14 Coffee With Kenobi Episode 23: Star Wars Rebels: The Visual Guide, Featuring Adam Bray. Also on YouTube. 5.02.14 Star Wars Kidscast Episode 9: Far, Far Away. 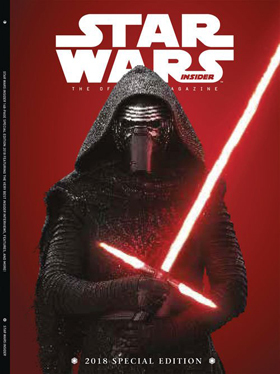 7.20.17 Entertainment Weekly Here Are All the Star Wars Covers in The Last Jedi Book Series: Star Wars: Absolutely Everything You Need to Know and Stormtroopers: Beyond the Armor (Note: this is not an interview—just an unveiling of my books by EW’s Anthony Breznican). 6.19.17 Hollywood Soapbox Interview: Want to Build a Star Wars starfighter? Now you can! 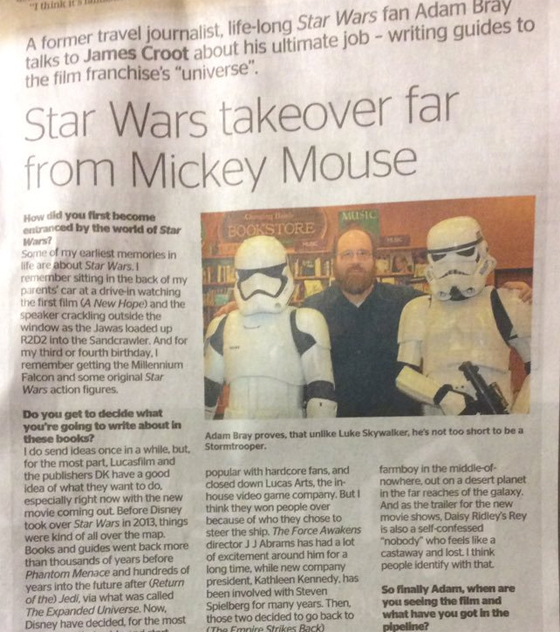 6.04.15 Cleveland Examiner Interview with Adam Bray and Daniel Wallace, authors of Ultimate Star Wars. 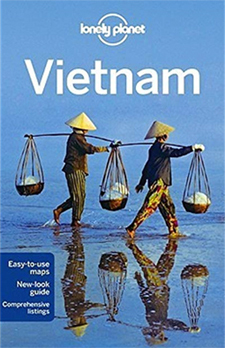 2012 Lonely Planet Vietnam 2012 Interview with destination tips and a recommendation of my old website (right image). 2004-2012 Various Vietnamese Publications Adam gave several interviews to local magazines, newspapers and television outlets (both English language and Vietnamese language) about life in Vietnam as a foreigner. Unfortunately I don't think any of this is available online now.